Note: This page contains Affiliate Links. Coconut Oil is a natural oil, derived from the meat of the coconut. It is high in lauric acid, and anti-fungal and anti-bacterial. It has been used successfully for centuries to combat various health ailments and improve the condition of skin and hair. It has many uses, including cooking, as well as for health. On the shelf, the oil has almost a lard type of appearance, but it quickly melts down when cooked over a low level of heat. For anyone looking to lose weight, coconut oil makes a great supplement to the diet. This oil is high in medium chain triglycerides, or MCTs. MCTs are broken down in the liver, and when that happens, they make the energy burning properties of the body more efficient. This means that the body can burn a greater number of calories in a shorter period of time, and that burning occurs with less effort. 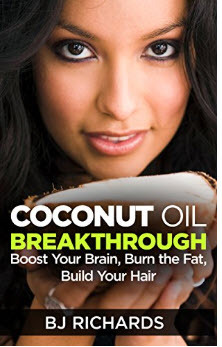 One scientific study tested this theory, offering approximately two tablespoons of coconut oil to women daily for a six week period of time. The study found that these women maintained a healthy weight and were even able to lose stubborn belly fat, leading to the recognition of this oil as a healthy dietary aid. If you want to add coconut oil to your diet, whether for weight loss or the other health benefits, you can use it in everyday cooking to enjoy both the taste and health benefits that it offers. Many enjoy this oil as a replacement for butter or less healthy vegetable oils, using it to saute vegetables, cook eggs or in a favorite baking recipe. The flavor practically disappears in most recipes, making it ideal for individuals with a variety of taste palates. In addition to utilizing virgin coconut oil in cooking, it can be enjoyed as a supplement on a day to day basis. A tablespoon of oil blends easily into a morning cup of coffee, favorite smoothie or over a warmed piece of toast. The oil can also be taken directly by mouth, right off a teaspoon, anytime one chooses. Extra virgin coconut oil is the purest form of coconut oil. While it had previously been labeled as unhealthy by some, this label was an unfair one, based solely on the claims that this oil was full of saturated fats, and therefore, unhealthy for the heart. 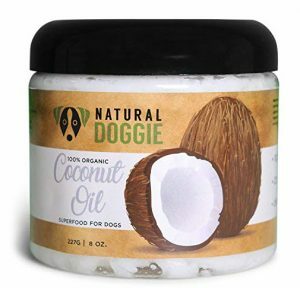 What was not considered in these studies and reports was that the oil used was not the original but had been hydrogenated, due to the addition of a hydrogen molecule which changed the composition of the coconut oil. While the hydrogenation process does increase the shelf life of many products, it also decreases the health benefits and increases trans-fats within the oil. In comparison, virgin coconut oil contains only healthy fats that benefit the body. This oil is composed of about fifty percent lauric acid, which has been scientifically proven to benefit the heart and circulatory system. By consuming large quantities of this oil as part of their regular diet, many individuals have been able to successfully lower LDL cholesterol, while also increasing HDL, or “good”, cholesterol. Coconut oil is also receiving an increased amount of attention when it comes to natural remedies to alleviate the symptoms of HIV and AIDS. Because this oil is anti-bacterial and anti-fungal, it can assist in keeping infections away and the immune system strong, allowing for an increase in T-Cells throughout the body. 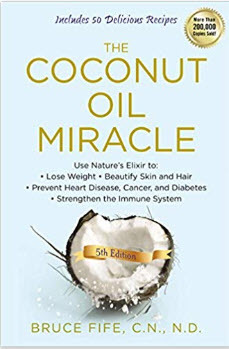 While coconut oil is not a replacement for conventional AIDS medications and treatments, it works well as a complementary therapy, and many have found increased energy and health by using it. Diabetics can also find benefits in consuming extra virgin coconut oil on a regular basis. This natural product has a positive effect on thyroid functioning and hormone balance, making it easier for the body to utilize and process sugars effectively. This has lead to a decrease in the amount of insulin used by some diabetics and an increase in their overall state of health. While no changes to medications for diabetes should be made without consulting a physician, adding coconut oil to the diet is a simple way to enhance any diabetic treatment plan. 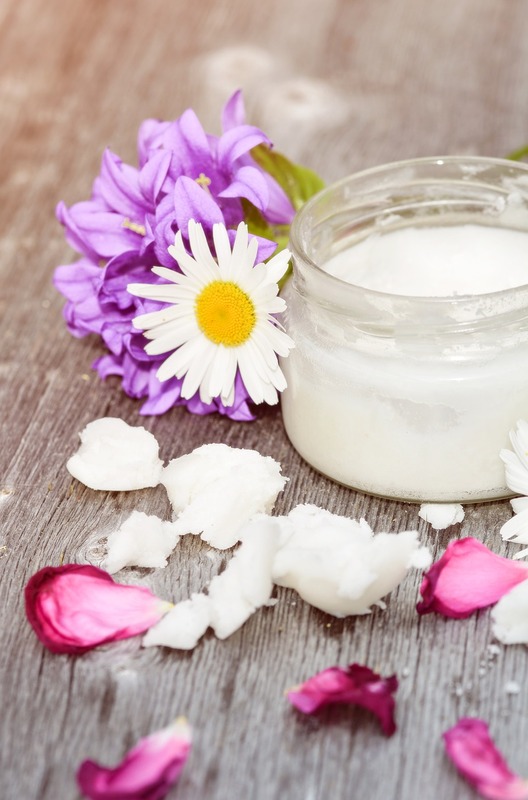 Coconut oil is not only for internal health, but it is also used regularly by those looking for natural beauty products to replace paraben and sulfate filled store bought creams, lotions, soaps and pastes. This oil has wonderful anti-bacterial and anti-fungal properties, making it an excellent remedy for everything from diaper rash to athletes foot to tooth decay. 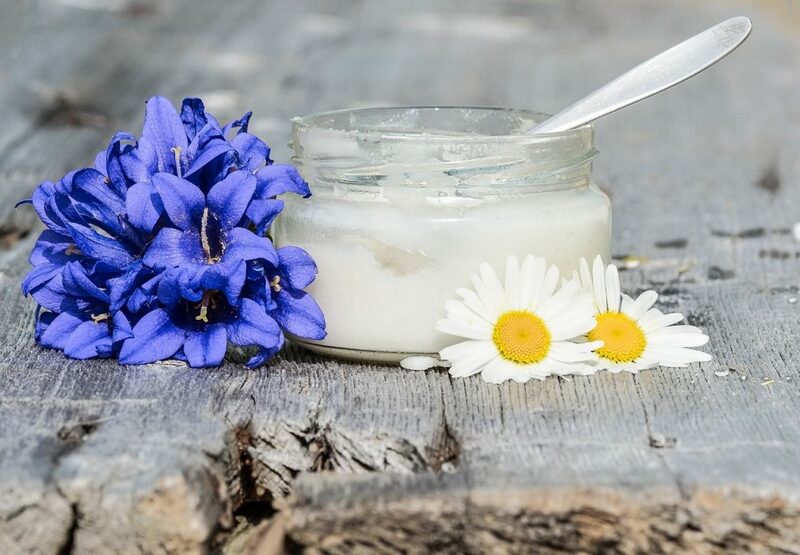 Many individuals use virgin coconut oil as a daily moisturizer or lip balm, and they often find that it increases the supple, healthy quality of their skin without many of the side effects associated with less healthy, chemically manufactured ingredients. Virgin coconut oil is also a wonderful alternative to traditional, fluoride filled toothpastes, as many studies have shown that it effectively keeps tooth decay at bay and generally promotes healthier teeth and gums. 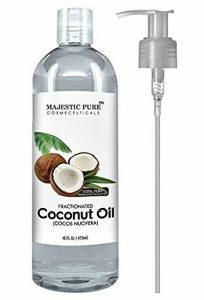 Because of coconut oil’s anti-bacterial properties, this product makes a wonderful replacement for many over the counter topical aids for cuts and scrapes. Coconut oil can help to fight infections on the skin, and it also decreases healing time. In addition, the moisture provided by this oil can help individuals to avoid scarring of the skin, making it an essential product to carry in every first aid kit. Because this is a natural oil, it is very safe to use in children, and they will enjoy the health benefits as well. The oil is so safe that, in its virgin form, it is often added to baby formula recipes in order to increase the intake of healthy, and necessary, fats. It is easy to see that there are many benefits to using extra virgin coconut oil on a regular basis. This tasty oil promotes internal health and is also an asset to any skin care or beauty routine. Just be sure to only choose virgin coconut oil, rather than hydrogenated oils, in order to reap the health benefits listed above. Coconut oil has a lot of uses when it comes to eating. We have previously noted that it may be able to help you lose weight. 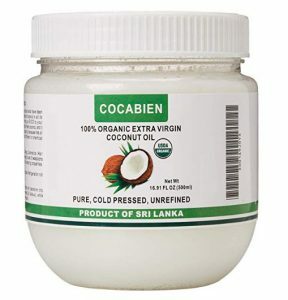 Cooking, baking, or eating by itself, coconut oil is delicious and a lot of people enjoy eating a spoonful every day. You can eat it off the spoon or melt it first, if you prefer. You get an energy boost, immune system support, and all the nutrients without any of the work. How much easier can it be? Coconut oil does not spike insulin in your bloodstream, even though the taste is sweet. Therefore it is okay for diabetics. It has also been found to reduce heart disease and feeds the brain by improving cognitive function. Instead of non-stick sprays, try rubbing coconut oil around your glass dishes, slow cookers, and pans. You do not need to melt it first, as the warmth of your hands will do the job for you. And if you have any remaining oil left on your fingers, you can rub it in as a moisturizer! Any oil can be replaced with coconut oil. Remember that coconut oil stays solid at room temperature and plan accordingly. Sometimes the oil can quickly solidify again if placed on a cold ingredient, so either work fast or make sure the ingredients are not fresh out of the refrigerator or freezer. Baking is very easy with coconut oil. Replace your butter or other oil with it, using the same amount the recipe calls for. 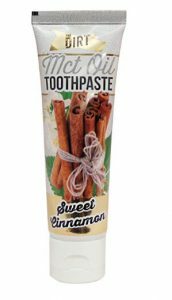 It will add a slightly sweet coconut taste to your baked goods. More flavor without any extra work. Coconut oil can withstand high heat without breaking down. Whether you are making a stir-fry in your wok or broiling a dish in the oven, coconut oil will still taste delicious. Add it to any recipe that would benefit from a coconut flavor. Some ideas include shrimp, chicken, popcorn, and tofu. The possibilities are endless. You may not be aware of it, but coconut oil has many uses. 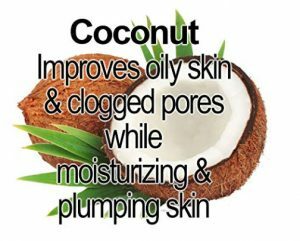 As well as being able to use it in your everyday diet, it can be used around the home, as a beauty product, for your health, or for eating – coconut oil is very versatile. It can also be used with animals. Around the home, coconut oil can be used as furniture polish. It is advised that you put a little on your wooden furniture in a hidden spot to test it out first, to make sure you like the effect. If it is okay, put some coconut oil on a rag and polish away! On the same idea, you can use your coconut oil on a wooden cutting board if it is looking old and dry. Take your clean cutting board and rub the oil in. It will take care of the dullness and leave it looking much better. If you have something that needs lubrication, such as a squeaky door hinge or a stuck zipper, try a little bit of coconut oil. The warmth of your hands should melt it enough so that it can do the job. No more messing with sprays! There are many ways in which you can use coconut oil as a beauty product. It is safe and smells wonderful. Why not try a few? Coconut oil is antibacterial. It is also antifungal and antimicrobial. That means you can use it as a moisturizer and it is great for your skin. You can also use it on your face to help prevent pimples and other breakouts. Not only will it work as a moisturizer, but if you apply a thin layer on your skin, it can be used as sunscreen. You get double the benefits with just one application. Try it on your lips as a lip balm and sunscreen all in one. If you are feeling sore and want a massage, you can ask your partner to use coconut oil as a massage oil. When you start to feel better, coconut oil can also be used as a personal lubricant. Just do not use it with latex, as it is not compatible. Annoying bug bites can be helped by coconut oil. The bite will heal faster by applying coconut oil right on it. It also will help with any burning and itching you may feel from it. Another healing use for coconut oil is on bruises. The swelling can go down and the redness fade. Simply apply the coconut oil directly to the bruise. If you want to remove your makeup, apply a little coconut oil. You can use a cotton ball or your fingertips, and apply it by gently massaging the coconut oil into the makeup. Once the makeup is dissolved, use warm water or a washcloth to wash it away. Do not forget you can then moisturize with a little more coconut oil. You can even remove hair with coconut oil. To use it to shave your legs, dry off your damp legs as much as possible and apply some coconut oil. Keeping your legs as away from the water as possible, shave, then moisturize with more coconut oil if desired. Ring worm and athlete’s foot can be treated with coconut oil. It can also be used to treat other yeast infections and fungal infections. When applied to a small burn, it can help prevent an infection from setting in. Other issues that can be treated with coconut oil are canker sores, hives, and acne. If you are suffering from an ear infection, you can put a few drops in your ears a couple of times a day to reduce the pain and to help heal it. If you are feeling ill and want a vapor rub, you can easily make it yourself. Three drops of tea tree oil, six drops of rosemary oil and three tablespoons of melted coconut oil are all you need. You can increase the drops of the tea tree and rosemary oils if you wish, by a few drops. Mix and carefully apply to the nose and chest. For a natural homemade toothpaste, try mixing coconut oil with baking soda. Once it has reached a paste consistency, you are done. If you like a minty toothpaste, try adding a few drops of peppermint essential oil to it. As you can see, there are a lot of uses for coconut oil. These are some ideas to get you started. It is not just for eating, as it can be used in the home, for health, and for beauty.